One problem that some people have with the list is the volume of email that they get for it, and the best way to handle this volume is to configure your email client to move the messages from the list into a folder and out of your inbox. This folder can then usually be sorted in a number of ways and if you get behind, you can quickly delete mails you are not interested in. This article deals with the general principles and strategies of filtering. For help on actually creating a filter, see the section for your email client. There are several basic statagies that can normally be used to do this filtering: Subject, Recipient, or Header Filters. 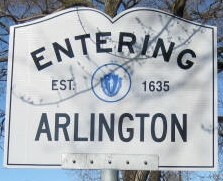 Subject Filter: This form of filter is based on looking for the string [arlington] in the subject of the message. It works on the principle that all messages posted to the list have the string [arlington] added to the subject (if it isn't already there). It will tend to catch replies directly to you, whither or not it is also going to the list, as most programs will copy the subject, including the [arlington] tag for the reply. If the person edits the subject field, it might not be there, or if they "reply" from the digest or by creating a new email message, it likely will not be present. Header Filter: This form of filter is based on looking for the header line List-Id containing the string arlington@arlingtonlist.org. Not all email programs can filter this way, and sometimes how to set up this sort of filter can be more difficult. This header is added to all email that passes through the list, both "normal" posts and administrative messages like password reminders and message notices, so this is the best filter if you want the filtering to be for messages "from the list", It will not catch the copy of a reply made directly to you. Separate Mailbox: While technically not an email filter, some people separate the list email from their other email by setting up a separate email box for the list (and maybe other higher volume sources). If you own your own domain this is simple to set up. There are also a number of free email providers. The biggest issues with this is it can be a bit more effort to check what is happening on the list, and to submit a message to the list, you need to send it from an email address subscribed to the list. All of these catch the most important case of Filters List Messages, which is by far the largest volume category. Which one (or possibly ones) to use depends on how you really want the other categories of messages to be treated. There are advantages of organization for trying to catch all of them, but if your in box is otherwise low volume, not catching some of these might make something "important" stand out (like a reply to you).